Callisthenic workouts are becoming more popular. Using your own body weight to perform exercises, instead of adding additional weight. You can achieve a good physique by just performing callisthenic workouts. Best of all, you need little or no equipment as you only use your body weight. You can either incorporate callisthenic training into your current routine, or you can just focus on body weight exercises. They can help with weight loss and building muscle. 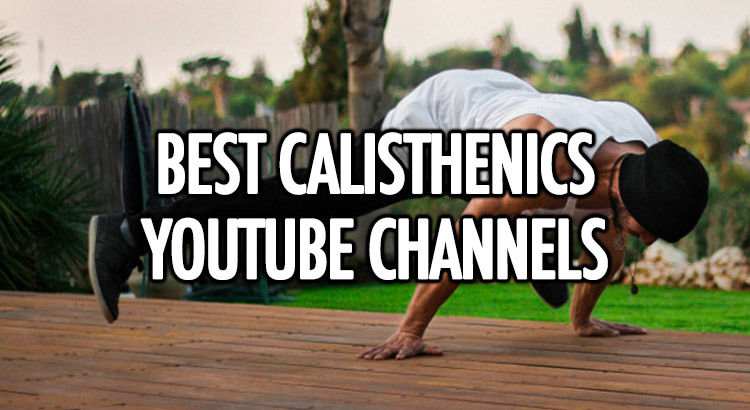 We’ve filtered through YouTube to find our favourite callisthenic channels, so all you have to do is give them a watch and get involved. Callisthenic training has many benefits and the fact that you can practice anywhere being one of them. You don’t need any equipment, so you can get stuck in anywhere. This type of exercise works many muscles at one time, so, for example, pull-ups work your arms, back and engage your abs too. You minimise the risk of injury since a lot of injuries happen to people who lift weights. People often believe that you can’t beat going to the gym or a workout class to get the most out of your workouts, but this isn’t so true. You can achieve the same results at home as you can in a gym. You’ve just got to have the knowledge of how to work out at home and make sure your workout is as effective at home as it could be in a gym. If you don’t have time or money for a gym membership then make the most of your spare time at home. 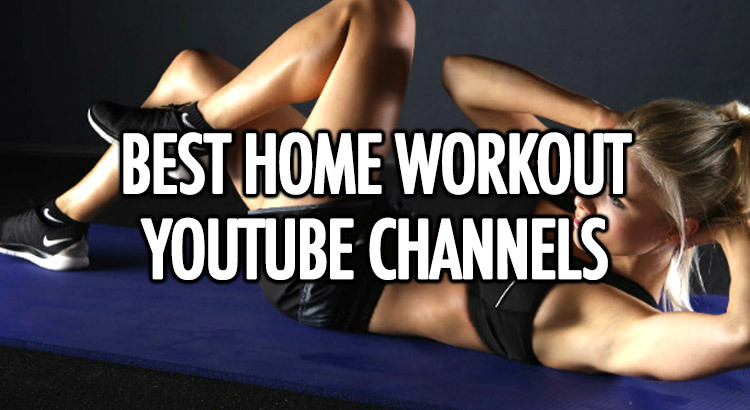 We’ve been through YouTube to find the best home workout channels, so all you have to do is tune in and exercise. Veganism is becoming more and more popular, proving to offer health benefits and help to keep you lean. There are many myths around like if you’re a vegan you cannot build muscle or work out properly. Vegans can still get fit, build muscle and be lean. 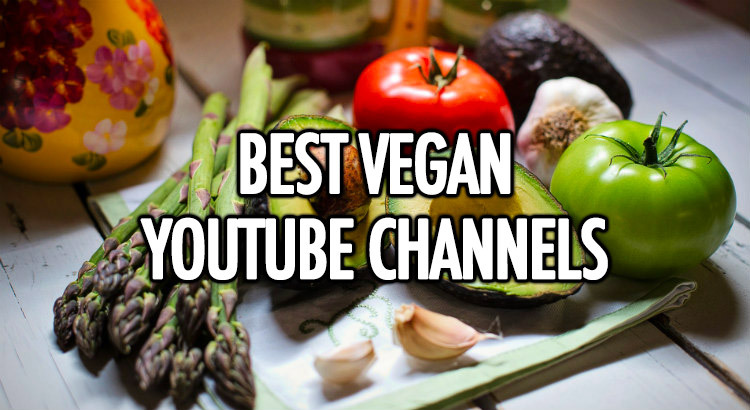 We’ve been through YouTube and filtered through our favourite vegan channels. These offer plant-based nutritional advice, fitness advice and other useful information that may help you along the way. Being a vegan has many benefits. Some benefits include the diet being richer in some nutrients such as fiber, antioxidants, magnesium, potassium and vitamins A, C and E.
It is also a good diet to lose the excess weight you are carrying around, some find veganism helps to burn the last bits of stubborn fat that you struggled to get rid of. Because a plant-based diet is higher in alkaline foods, it is known that these help to recover post-workout. It is believed that you recover quicker than if you were to consume meat and dairy products. This is because meat and dairy are known as acidic foods, meaning the blood tends to be more acidic which can result in pain during recovery. Blood sugar levels tend to be lower and kidney function improves from a plant-based diet. Working out to become a strongman can be difficult. I’ll rephrase…working out to be a strongman is difficult. But it is highly rewarding. Strongman training is the way forward, that is how you’re going to build functional strength. Whether you want to pull huge weights or cars from one side to another, hoist immense weights in the form of deadlifts or lift massive atlas stones, you’ll need to train like a strongman first. Strongman training is a great way to train the whole body, you will build power all over the body. 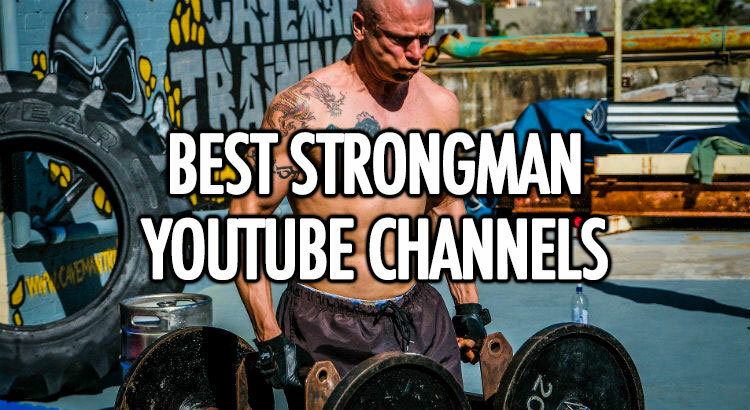 We’ve filtered through YouTube to find the 10 of the best strongman channels to give you help with your workouts, nutrition and other factors you need to consider. There are many benefits of training like a strongman. Similar to powerlifting, strongman training consists of compound lifts that work multiple muscle groups. This meaning, you’re overall hormone secretion is higher. Not only this, you will build explosive strength throughout your body and boost your cardiovascular system. Strongman training can be fun and interesting, you can literally use anything to help you train and gain overall strength. Tyre flipping is a good functional exercise that will benefit the whole body. Whether you are new to lifting or not, sometimes you could use a little help from someone who knows what they are talking about. Newbies and experienced weightlifters can benefit from a helping hand. More and more people are teaching themselves how to lift rather than paying for a personal trainer, after all, if the information is readily available for free online them why bother paying for it? 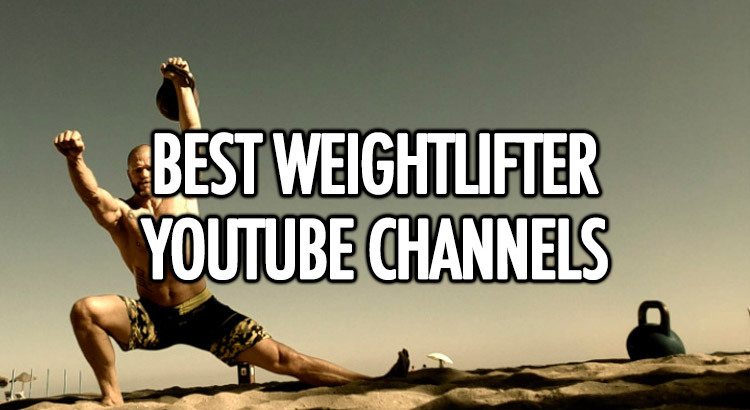 For that reason we have decided to list 10 of the top weightlifter’s youtube channels, to give you guidance and support. Some even offer nutritional advice, so you might learn something new in terms of diet. With some using pre-workouts to help maximise their workouts, you may find that they could help you. It is absolutely crucial that you focus on form when lifting. If you are lifting with bad form you are making yourself prone to injuries. Yoga is becoming more and more popular these days. It is great for a low-impact workout and helps to promote flexibility within the body. Not only this, it is known to relax individuals and even put them in touch with their spiritual side. People are instantly put off by yoga as they assume it is boring and slow. But, that isn’t so true. Yoga can, in fact, help to build strength and balance. Many people have started to join in with yoga, including weightlifters. Yoga provides many benefits to weightlifters. This is because it has many benefits, it improves posture, increases blood flow, strengthens the bones and joints and prevents joint breakdown. Yoga can be practised anywhere, little or no equipment is needed. 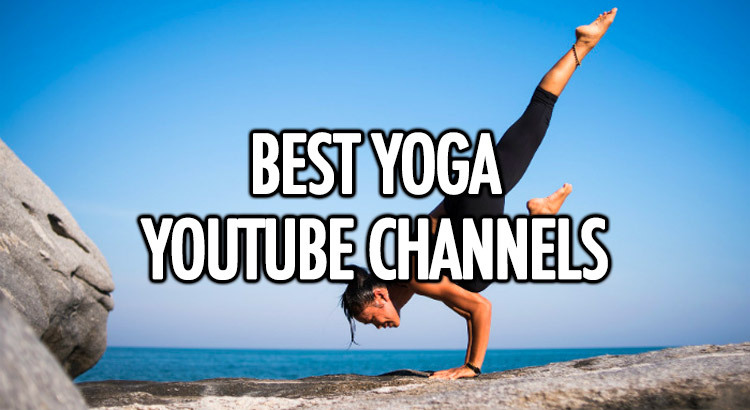 We’ve found 6 of the best yoga YouTube videos to help you learn and reap in the benefits associated with yoga.